The equinox point in September marks the beginning of Fall in the northern hemisphere and the start of Spring in the south. The Sun reaches the equator and the hours of daylight equal the hours of night, hence the term equi-nox. Of all the signs, Libra, the sign of the scales and balance, best represents this time of year. Neither the Sun nor the Moon dominate. They are on equal footing. 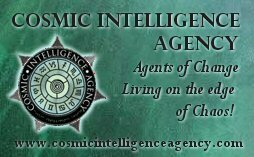 In the southern hemisphere, Spring is a popular time of year for weddings and with a Libra Ingress the Sun favours relationships, contracts and interaction. The Sun is with Mercury highlighting communication, signing contracts and open discussions. This is a forceful combination but the influence of Libra softens and refines the manner, delivery and type of language used. Diplomacy is highlighted but beware. Libra can sugar-coat a proposition in order to get what it wants. Always read the fine print and resist the seductive persuasion employed by colleagues, associates and partners. What appears to be a ‘soft’ approach may be camouflaging a hidden or sinister intention. Read between the lines and ask lots of questions. Sun-Mercury is opposed by Uranus. Diplomacy will not be easy to maintain because others are vehemently opposed to the status quo. The recent uprisings in the Middle East will continue and outside forces will try for a more diplomatic approach but it may yield few results. Sun-Uranus makes for an unstable and unpredictable combination. Uranus exalts individuality and freedom and similarly the Sun is a singular entity around which evrything else revolves. At some point a clash is inevitable perhaps inciting rebelliousness but also creative innovation. Be prepared for the unexpected in the lead-up to Christmas. The Sun is also square to Pluto. Time to let go of outmoded patterns of expression that will be challenged and proved to be invalid. It could be as simple as mechanical problem or as complex as a relatonship breakdown. While this will be a challenging experience it will allow new creative changes to take place. You may try but resistance is futile. Authority vs power and who weilds what, this is the them for at least the first and last two weeks of this period. By late December it will be clear who’s really in charge. If you take on the challenge and handle it well it will prove a source of strength in the future. On 4th October, Jupiter turns retrograde in Gemini. Jupiter is weakened in Gemini and this is enhanced while Jupiter moves away from us. There may be a tendency to be scattered and confused because we overthink things. It’s time to reassess how much is too much and eliminate extraneous details. Avoid having long-winded and largely impractical dialogues with oneself. On the other hand, your mind may be blank, floating in a sea of ideas that suspend plans. Ask yourself honestly how your mind has been holding you hostage to flights of fancy and avoiding the bigger picture. Gemini will always offer at least two alternatives. The challenge is to accept all possibilities and be flexible enough to select whhat’s appropriate to each situation. Saturn ingresses into Scorpio 5th-6th October. Reality check in matters of life and death. Some plans and committments come to an end in the next 2.5 years. Time to pay off all our debts, to face the thing in our self we have been avoiding, such as our addictions, denials, half-truths and unhealed grief. Change is the only reality to accept and we will all experience intense teachings that reach deep into the soul and psyche. Those born 23October to 2 November will have these intense experiences during the next 3 months. Be courageous and learn to let go. You can become a catalyst for change if you do. After languishing in Virgo Mars is now moving swiftly through the signs. In Sagittarius from 7 October to 17 November the energy is hyperactive. Exercise, adventure, travel and extreme sports will appeal. In Capricorn from 17 November to 26 December the energy is more considered and carefully paced. Mercury is retrograde in Scorpio from 7 – 27 November. As usual, travel plans and communications are likely to go awry. Double check everything but be prepared for the unexpected. mercury, the trickster, loves to surpise and gets a kick out of a little chaos. For those who learn to ‘see’ the joke mercury often has a hidden reward. He likes to teach us how to lighten up so just go with the flow. On 11th November, Neptune turns direct in Pisces. This is when we focus on our dreams and with Saturn trining Neptune they can now become a reality. If you can dream it you can do it. A total Solar Eclipse at 21 Scorpio occurs on 14 November, exactly conjunct Pluto and square to Jupiter-Uranus. Lynda Hill’s Sabian Symbol for Scorpio 22: HUNTERS PROTECTED BY HEAVY CLOTHING ARE SHOOTING WILD DUCKS. This Symbol implies the need for protection of those who are innocent or younger, smaller, or not able to protect themselves. Being an advocate for others, you can shield them from the more harmful elements of society. You may, at times, feel that you are the one that needs to be protected or given shelter or in need of people declaring a ceasefire and amnesty so people can come out into the open and not be afraid to show their true selves. Of course, there is a need for an outlet for aggressive emotions every now and then. Doing so in groups gives this outlet, such as “Shooting Wild Ducks” some sense of acceptability. However, picking on those that are undefended or smaller is really not right, no matter what the terms. Further this degree can reflect the idea of eating meat and the associated feelings that many have around the herding and killing of animals. As a friend of mine recently did, some will come to the realisation that they need to eat meat in order to stay healthy and there may be a need to drop any feelings of guilt around it. Satiating one’s aggressive desires. Being able to hit the mark. Terrorism in its many forms. Camouflage. The armed forces. Armaments. Hunting for meat or trophies. The Caution: Taking unfair advantage of the innocent. Exploitation. Hormones running rampant. Bullying behavior. Polluting nature. Shooting people down. Nowhere to hide. November 28 features a Lunar Eclipse at 7 Gemini. Again from Lynda’s Sabian Symbols: AN OLD-FASHIONED WELL WITH THE PUREST AND COLDEST OF WATERS. This Symbol implies going into the depths of people, places and things in order to find nourishment or satisfaction. There is always a plentiful supply for all those who draw on the well with sincerity. You are able to access this through your faith and emotive confidence in yourself. You don’t need to employ your thoughts as much as your beliefs in this situation. The inner wisdom you seek has been tapped by others long ago. Tapping into the ‘Well’ may require a long rope and patience but it is worth the effort. Compassion and love allow one to plumb the depths of people and situations with certainty. Being supported by people and your environment. Clarity of thought and perception. Deep and sustaining links to the past. The pool of universal experience. Water. The Caution: Not trusting advice based on established ideas. Not seeing the depths of others. Shallow emotions and responses. Muddying of issues. Stagnant water. Poisons. And lastly, on 13th December, Uranus turns direct in Aries. Watch for fireworks – literally and figuratively. 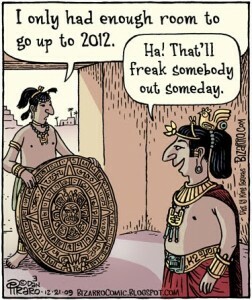 Of course I must say a few words about 21st December 2012 and the supposed end of the Mayan calendar. The very amusing cartoon below has been circulating for the past few years, and I believe it sums up the issue quite succinctly.